Humph. We love gnocchi in the KneadWhine household. It's one of those few dishes that everyone seems to get on board with. I've managed to make a beetroot version from Simon Rimmer's Seasoned Vegetarian a few times (but not recently enough!) but butternut squash gnocchi causes me problems - I really don't know why. 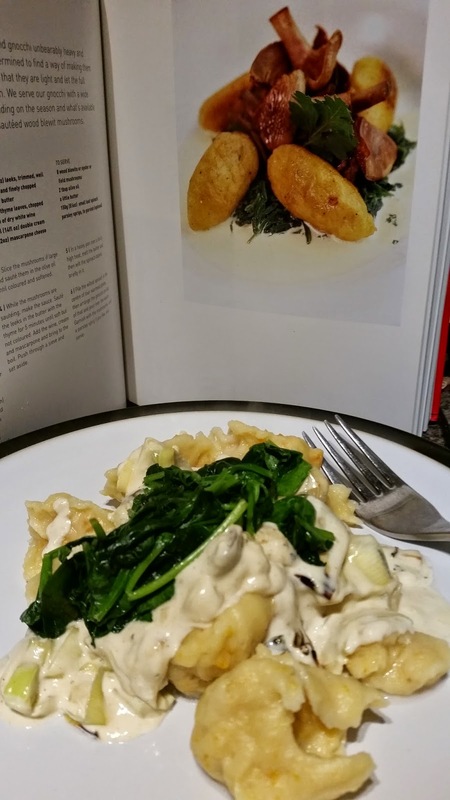 Kara at ChelseaMamma opted for 'Gate gnocchi' from the Gate Vegetarian Cookbook (it's the top one) and I inwardly groaned but determined to give it a go. The instructions from the cookbook are fairly easy to follow but there are always an extra couple of ingredients that are out of the norm. It's one of those books that has languished a bit - although it has some of the most beautiful photography. I made the mushroom chathani once before and aimed to make it with aubergine - something I really ought to have another go at. 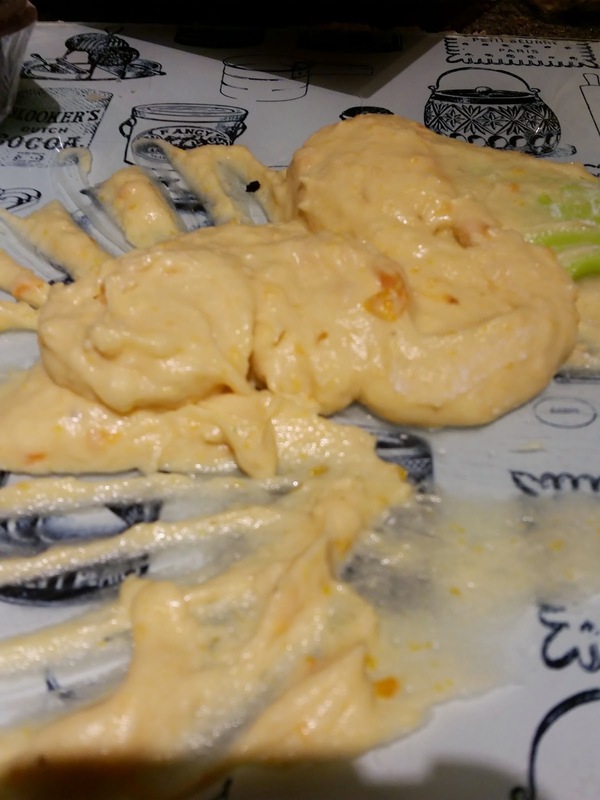 Surely I couldn't completely stuff up butternut gnocchi for a second time? Well.. it turns out that sadly I could. I do at least know what I did wrong this time. I think the potatoes need to be better drained and cooled a little more than I managed.... and perhaps I ought to follow instructions a bit better. Being short on time, I tried to be clever and puree the butternut squash and mix in the mash at the same time. Not so clever as it turns out. This is AFTER I added a tonne of flour. Yeah. Anyway, I sort of picked up globs of it and cooked it.... and it was sort of edible. It was also nice to be reminded of wilted spinach... and to have loads left over for various meals since. Roo is a massive fan of a bit of spinach alongside her eggs, so we all won with that purchase. Anyway, here it is. Looking very little like the photograph... and these were the most photogenic of the gnocchi I achieved. I really ought to dip into this book a few more times - even if the outcome wasn't as brilliant as it could be, it does lead me to think of other things I could make. Cookbook challenge 6 and 7 are on the way this week.